As little black girls, when we'd lose hair accessories we'd just chock it up to the game. But Gabrielle Goodwin and her mother, Rozalynn, weren't fans of losing barrettes. Rozalynn went on a Twitter rant about constantly buying barrettes for her daughter, and other mothers joined the conversation, expressing the same frustration. Behold the double-face, double-snap barrette — a hair accessory that won't disappear from little girls' hair, invented by 9-year-old Goodwin. 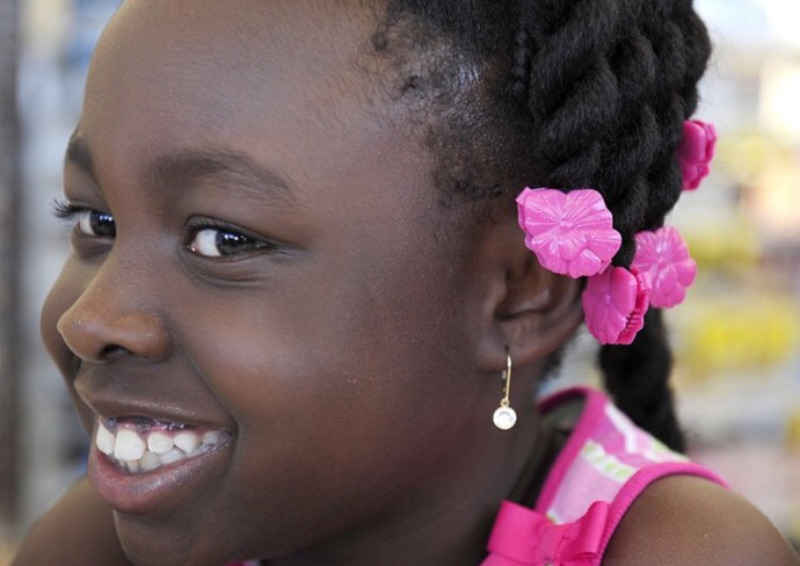 Photo: chronicle.augusta.com Goodwin, who was just 5 years old then, probed her mother to take action on her idea, as she was also unhappy with losing barrettes. Two years later, Goodwin and her mother created GaBBY Bows. To date, families in 48 states and eight countries have saved time, money and frustration by purchasing the barrettes at www.gabbybows.com. GaBBY Bows is also available at select retail stores in the Southeast. Goodwin's hair accessory line will be expanding its offerings with the $28,000 that Goodwin and her mother have raised on Kickstarter. The funding comes from the generous support of more than 300 backers and businesses. Though Goodwin founded the company with her mother, she is president and CEO, handling inventors, speaking to community groups and schools and writing thank you cards to customers who order online. She also hosts "GaBBY Play Dates" where she teaches girls in children’s shelters about entrepreneurship. In 2015 Goodwin was chosen as a 2015 SC Young Entrepreneur of the Year — she's is the youngest to ever receive this honor, to date. “It feels really good to have people support me because they believe that my business can go to the next level!” says Goodwin. Want more inspiring content like this? Sign up for our daily newsletter!